Then I realized there are a whole host of people who have impacted my life, yet have no clue they have done so. These people fall into two camps: 1) people I know but don’t have a close friendship with and 2) those I admire from a distance (for something they have done). Both of these classes of people are in my life because I draw something from them that is inspiring. Think writers, speakers, businessmen and women, retirees who show joy every day, leaders who make tough decisions and stand for what is right, even athletes and coaches. In reality, this list could go on and on. To them I would like to say – even though they don’t know it – I am thankful for you being in my life, even if it’s from afar. At this point on the ride home, I’m feeling pretty good about all the people I can be thankful for. Then an unusual thought hit me. What about those people I’d rather not have in my life right now – the ones I wish I could jettison? These would be those who I don’t agree with. People who hate what I stand for. Individuals who would be glad to see me fail in some way or maybe are even doing me harm. They are a thorn in my side. Do I need to be thankful for them too? “Know that the Lord, He is God; It is He who has made us, and not we ourselves; We are his people and the sheep of his pasture” (Psalm 100:3). Pastures are full of grass for food. Water and shade trees may be nearby for comfort. In the pasture are other like-minded sheep for companionship. And most importantly there is a shepherd to watch out for them. All those good things the sheep can be thankful for. But the pasture may not be entirely full of goodness. Undoubtedly, there will be wolves looking for a meal. How can the sheep be thankful for something looking to do them harm? Because of one thing – the Shepherd. The Shepherd knows the wolves are there. He knows they are causing some tense moments for the sheep. He knows the sheep don’t understand why they have to exist in the same space as the wolves. But the shepherd also knows this – he won’t let one sheep be devoured. He also knows there may be some interesting lessons for the sheep to learn as they wait for the Shepherd to do his thing. Like how to trust the Shepherd…or how to listen…or whom to follow. Maybe even to understand the perspective and needs of the wolf. In the end, God – our Shepherd – is good. His mercy is everlasting. His knowledge and truth endure forever. God knows why certain people are in our life. We may not understand the purpose. Some people we may not feel remotely thankful for. But I have to believe there are lessons to learn from every person He’s placed in our pasture. That’s why I can say I am thankful for you – to everyone around me. Thanks for being a part of my life. 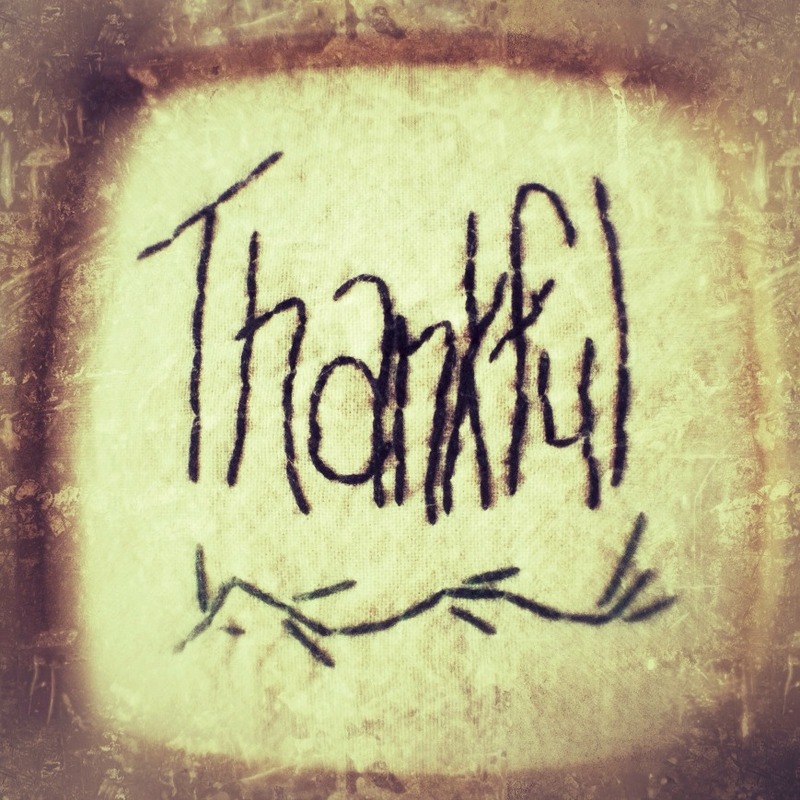 Questions for Discussion: When was the last time you told someone, I am thankful for you? What do you have to be thankful for right now? Are there people causing havoc in your life and what might you be learning through that? I always say “thank you” to all people who do good things to me, and doing this is one way of showing how grateful I am to them being part of my life. It is not a challenge to say these words of gratitude to someone. Two reasons for not saying it: it’s either we forgot to express it or it is our pride which always rule. Happy Thanksgiving! This is one of the special occasions we have to show how thankful we are to people and all the blessings we receive. Kelly recently posted…Hoes Does Leverage Work In FOREX?